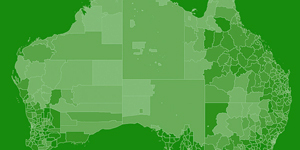 SA3 standardised geographic regions (about 30,000 to 130,000 people). Here is an overview of New South Wales’ progress according to the hep C report. The notification rate for HCV had been stable in Australia since 2011-2015, but in 2016 it shot up by 12%. This is likely due to the availability of new treatments (and increased testing being done for people coming forward for treatment and cure). 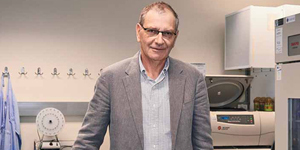 This said, the proportion of people in Australia with chronic hepatitis C who have been diagnosed is estimated to be 81%. This is below the WHO target set for 90% of people to be diagnosed (by 2030). While a jump in notifications like this is not linked to new HCV transmissions, clearly, new transmissions continue to occur, and NSW must keep a strong focus on hep C transmission prevention. This occurs through the suite of harm reduction services already in place, including NSPs, peer and non-peer education, Fincol and education in prison settings and health promotion services. NSW has the highest population of people living with hep C, with 77,083 at the end of 2016 (34% of Australia’s then population of 227,307 people living with hep C), yet we are sitting at fourth in the leaderboard in terms of the percentage of people accessing treatment. Whatever is happening in the PHNs of North Coast NSW, Northern Sydney, Central and Eastern Sydney, South Eastern NSW and Hunter New England and Central Coast is working. These areas have the highest numbers of people taking up treatment in NSW PHNs in the period March 2016 to Feb 2017. They are above the national average. These areas must be considered carefully and we should look to support strategies that improve access to information, education and treatment. GP mobilisation and training and community awareness and mobilisation will be the drivers of that. Our vision of a world free of viral hepatitis is getting a little closer but there has never been a greater need for an organisation that can mobilise the affected communities. The next 3-5 years of work for Hepatitis NSW are going to be vital and we have a responsibility to continue our mission which is to “work to improve the health and well-being of affected people and communities, and to prevent the transmission of viral hepatitis”. Partnerships with key stakeholders, including the Primary Health Networks in NSW, Local Health Districts, other NGOs and the Ministry of Health will be paramount in achieving HCV elimination in our state in the target year 2028 – 10 years from now. 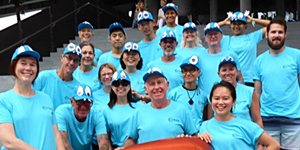 Aiming to promote hepatitis B awareness in a fun and friendly way at Lunar New Year, Hepatitis NSW raced under the team name Heppy Dragons at Darling Harbour. The team’s bright blue shirts and dragon hats attracted the attention of spectators at the festival, with many complimenting the team on their memorable style. 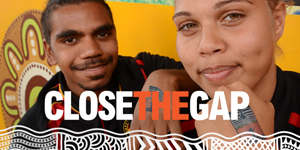 Thursday 15th March was National Close The Gap Day with the theme Let’s Walk the Talk, encouraging organisations and individuals to take action to reduce the gap between Aboriginal and non-indigenous Australians’ life expectancy and support indigenous health equality. Hepatitis NSW hosted a workshop to build partnership activities that will help Close the Gap on the impacts of blood-borne viruses on Aboriginal people. Representatives and Aboriginal staff from ACON, NUAA, Positive Life, SWOP, HALC and Hepatitis NSW agreed to meet regularly to plan and collaborate, so that we more effectively deliver our services for and with Aboriginal communities. We also made plans for regular networking amongst Aboriginal staff to support one another’s work, share ideas and exchange information.